Take audiobooks, for instance. These are growing weekly in popularity. More and more agencies and freelancers offer their services for narration and/or studio space. The latter can be hired by an author who wants to do their own narration but again at a cost. One quote from a top-notch agency for producing an audiobook was £32,000. Plus VAT. Plus waiver of narrator’s copyright. You’ll need help to direct you to much cheaper ways. 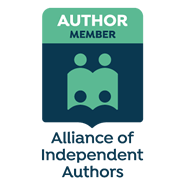 Anyway, then I discovered the Alliance of Independent Authors and joined as an associate (unpublished) member for £55. That subscription more than pays for itself. For a start, there are free books which non-members have to purchase. These are excellent resources, superbly insightful and helpful. There are many other resources too. There is a lively and extremely useful members’ forum where anyone from absolute pro to beginner takes part. Members are very helpful in answering questions and offering advice, and if you’re a newbie you can be teamed up with a volunteer mentor. Then there are the discounts. For instance, IngramSpark, along with KDP a main route into independent publishing, charge $49 to set up ebook and print on demand. This fee is waived if you are an ALLi member. Take a look at the Alliance’s site. You’ll soon see how valuable it is. I must confess that when I got into publishing as an indie, I was initially overwhelmed with what’s involved. The Alli membership is largely made of people who see their writing as a business. Aside from writing, of course, proofing, editing, cover design, interior format and so on, there are the many elements of practice required by any business, most especially, promotion and marketing, online presence including website and social media, and legal matters. To name a few.